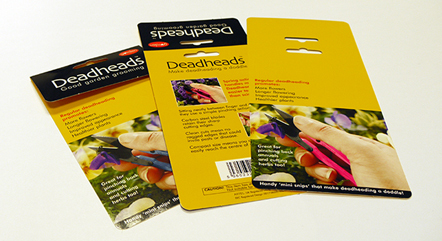 A customer approached us to produce some bespoke header cards. The brief was to ensure that the material and colours were consistent on every order because they had encountered numerous issues with a previous supplier. Using our electronic ISO colour management system and colourimeters together with a high quality board we were able to ensure that colours always match the previous runs and that the weight of the material is consistent. We all see colour differently and so it is important to measure the colour produced by a press scientifically and run it through pre-loaded algorithms to ensure batch to batch consistency. At Kolorco, not only do we have standard algorithms but also a vast back catalogue of profiles for paper stocks from most major manufacturers. If you have a problem job or need some friendly advice please call us and we will be only too happy to assist you.